H. montana is a species that is found throughout its native Japan where it is called Hosta 'Oga Gibōshi'. Liberty Hyde Bailey originally named the plant H. fortunei var gigantea. This species forms a large size (28 inches high by 78 inches wide), vase-shaped mound of medium green foliage that is deeply veined, moderately wavy with a moderately lobed leaf base. One of the unique characteristics is that the flower bud itself looks like a flower. It has open funnel shaped, very pale lavender flowers in July with bracts on the flower scape after the flower opens. Plants of this species also tend to emerge early in the spring and are often susceptible to damage from frosts if not protected. According to The Hostapedia by Mark Zilis (2009), "Of the four most common species in Japan (H. sieboldii, H. kikutii and H. longipes being the others), H. montana is the most consistent...has proven to be a valuable breeding plant and is the source of several significant mutations." 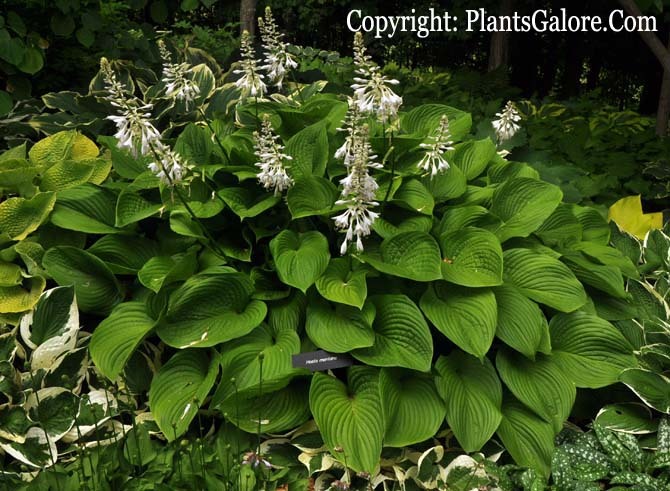 The New Encyclopedia of Hostas by Diana Grenfell (2009) states: "Very variable in the wild. Usually much larger in cultivation. Emerges later than its best-known sport, H. montana 'Aureomarginata'. The parent of many large-leaved hybrids...Very long, dense racemes and numerous leafy bracts. Heavy production of pods weighs the scape down." 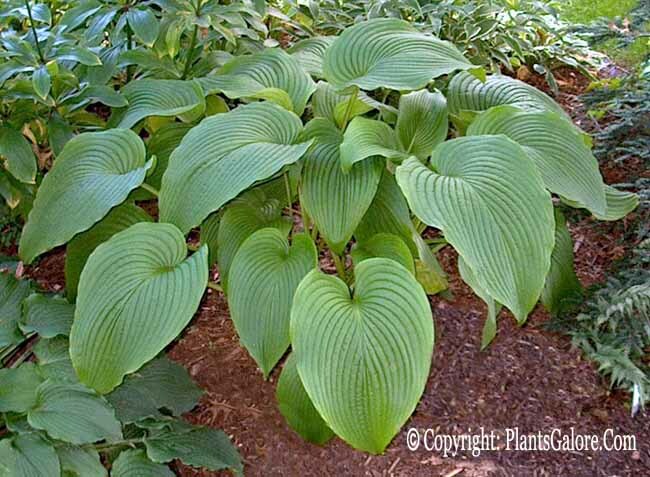 Mark Zilis' Field Guide to Hostas (2014) states that this species was found in Japan in "...open grasslands near Mt. Fuji; woodlands; rocks & cliffs; along streams..."
An article by Hajime Sugata of Japan in The Hosta Journal (1994 Vol. 25 No. 2) states that "One of the unique characteristics of H. montana is that it sometimes grows close to developed areas. It can be found densely populated, sparsely distributed, and occasionally as a single plant. Dense growth of H. montana is found along the edges of rice paddies. Although some are cut or pulled out with weeds by farmers during the rice planting time in May, H. montana is not discouraged. There are many regionally modified forms. A white-backed form exists around Kansenji Temple in Tsukude Village, Minamishitara County, a large clump form at Mitashi, Atsuke Town, and a small and thick-leaf form, tolerant of direct sunlight and drought, along the banks of the Hida River, Gifu Pref."